Christmas music puts a smile on my face when done right. Key words- when done right. 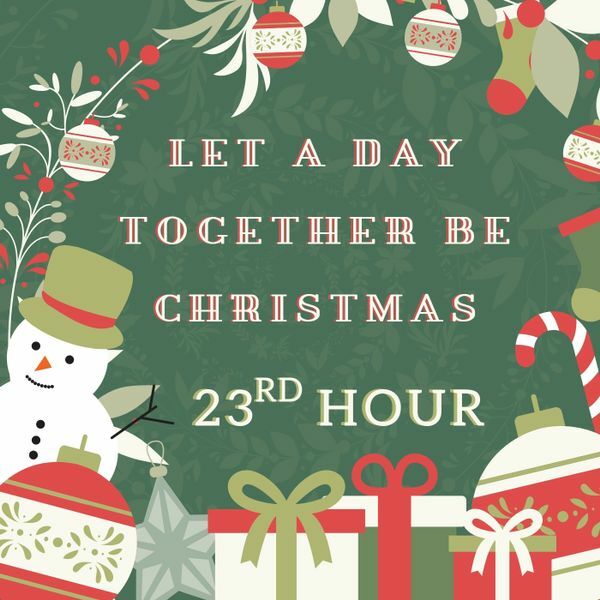 This month’s featured artist, 23rd Hour comprised of the duo of George Paolini and Sherry-Lynn Lee have just released their full holiday album, Let A Day Together Be Christmas. I’m really proud of the way it all turned out! The StudioPros team produced their first Christmas single last year, and this year they proceeded to finish the full Christmas album with our team. We fully produced their album track title, “Let A Day Together Be Christmas” utilizing our full band production package which included: live drums, upright bass, trumpet, vocal tuning and the perfect final touch of mixing and mastering. It was important for 23rd Hour guitarist George Paolini to be instrumentally involved in his project, so we included his guitar and keyboard tracks in the mix as well as Sherry’s soothing vocals to put the icing in the cake of this holiday song. Beyond the album track title, the StudioPros team mixed and mastered the full album of other Christmas songs so that they could have a cohesive sound on the album as a whole. 100% of the proceeds from pre-orders and sales made between now and Jan 1, 2019 will go to Salvation Army’s “Care for Camp” to help the Camp Fire relief efforts in Northern California.